the long lines to wait for the shuttle bus and Starbucks, the expensive food, and of course the cold weather outside, even though it was relatively warm this year. And of course the walking, as my Fitbit® logged 7.5 miles on average going from one end to the other end of the exhibit halls. But the good things definitely make up for the bad parts, i.e. 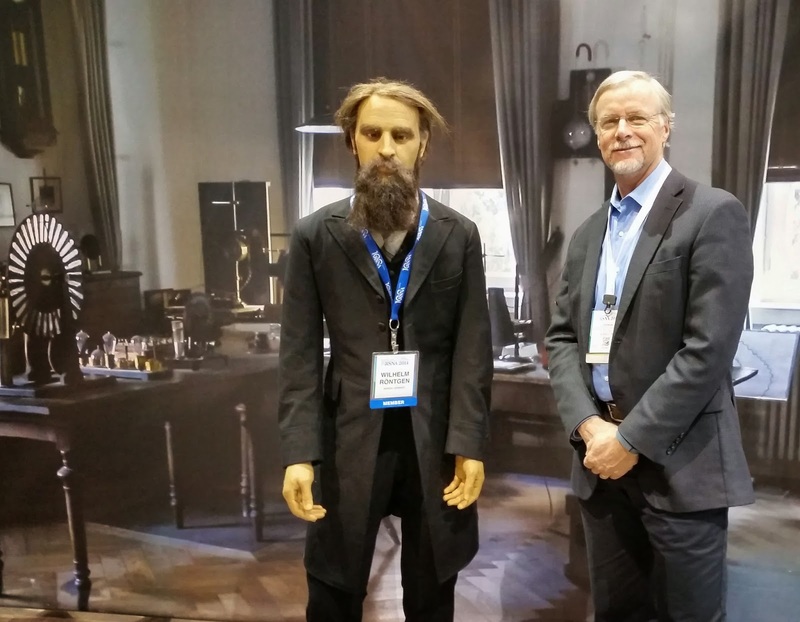 the networking with others in the industry, catching up with who is where and doing what, and last but not least, seeing what’s new from the vendor exhibits. There were no spectacular new developments this year, rather more a continuation of and, in some cases, merely a slight improvement in functionality and features. Especially in the imaging IT space, the lack of significant progress has been frustrating for users who complain about workflow issues and lack of integration. Every manufacturer talks about a Vendor Neutral Archive or VNA, which is supposed to serve many specialties and an EMR, which is supposed to provide a patient-centric approach towards information presentation with a “simple” universal viewer plug-in, but in talking with users, reality is different. An example of the criticality of proper workflow support was shown in the recent Ebola case in Dallas, where supposedly the information that the admitted patient, Thomas Duncan, had just arrived from West Africa was not communicated between the admitting nurse and the treating ER physician, resulting in the discharge and fatal result as has been widely publicized. The hospital admitted that they made significant changes in the EMR configuration (which is EPIC) to prevent this from happening again. 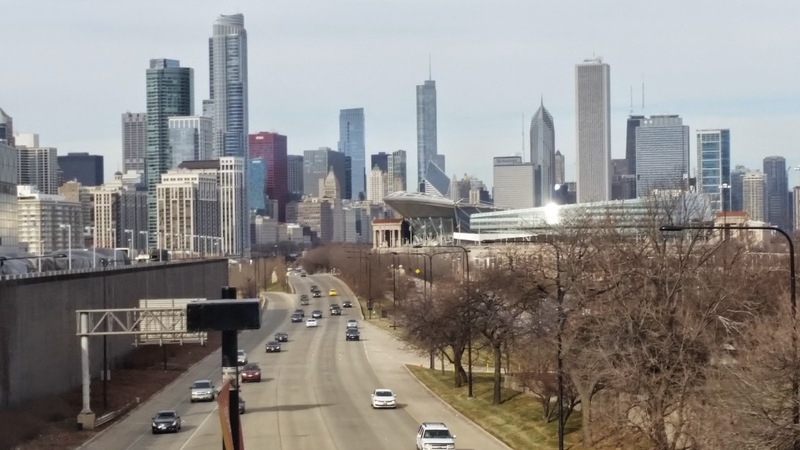 VNA, however, there are still many disparate systems without digital connections that only can be integrated by combining their video signals, which could be coined as a VNV solution. 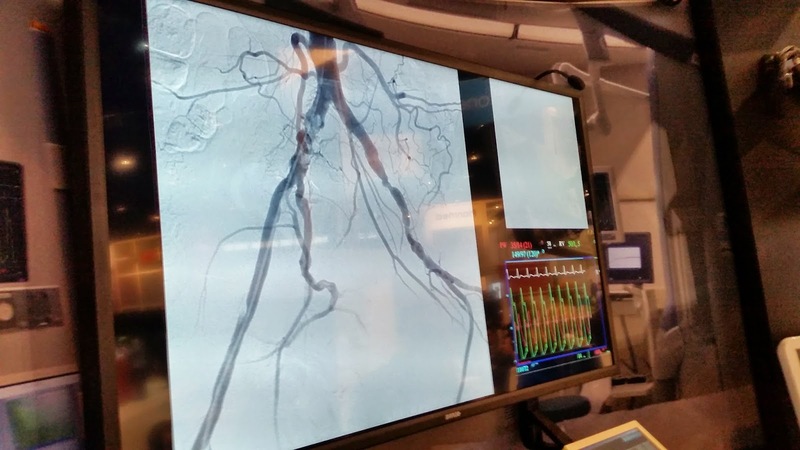 This is especially important for the OR, which has several measurements to be recorded, such as EKG’s in addition to live video feeds and DICOM image displays that all need to be available for a surgeon. gesture-driven user interfaces based on commercial gaming console detectors, this year, a couple of researchers showed not only hand but also “finger” based interfaces, and the ultimate interface using Google glasses. Talking with radiologists, many suffer from wrist and arm injuries caused by the daily repetitive mouse and/or trackball movements required to go through image sets. The alternatives are not quite ready for prime time yet, but it is clear that we need a better alternative; otherwise, in another 5 or 10 years, a major part of the radiologist community is going to be on disability leave. OR, but also in a conference room setting. With regard to resolution, Barco showed that last year’s 10 Megapixel is this year’s 12 Megapixel, with a different aspect ratio, optimal for displaying larger size icons, which allows for easy scrolling. An interesting application for color in mammography was to label the prior image in a different color, (e.g. yellow) vs the current study (e.g. blue), which reduces the chance of mixing up the new and old images. By implementing its own driver, Barco also showed how to create a “loupe,” which does not magnify but increases the luminance considerably, simulating a “hot light” as used for film. used for dentistry applications, especially where high resolution is needed to simulate implants. There is a growing application field for ENT where, especially for the inner ear, high resolution is preferable. 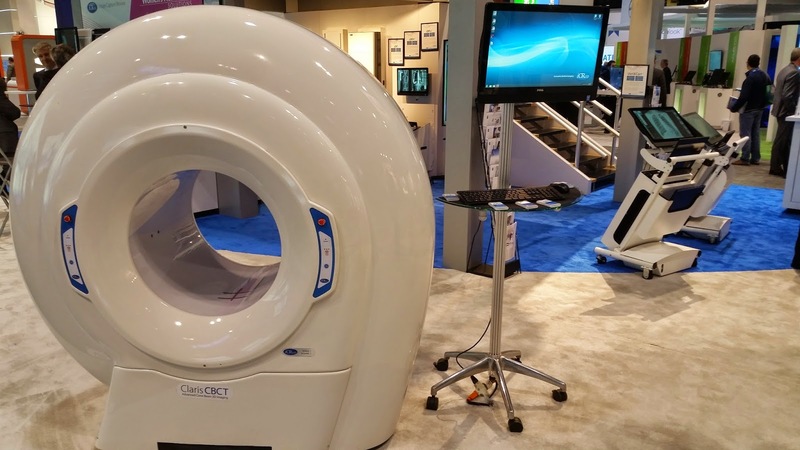 Now with ever-increasing bore sizes, it also can be a less expensive alternative for extremity imaging compared with traditional multi-slice CT scanners as shown by Claris. acquired as a loop, have a time component. Because of the hand-held operation, registration of these images with each other is very hard if not impossible. What if the images are acquired using a registration device that controls exactly the direction and relative distance from each other? The result are a set of images that can be used to do a multiplanar reconstruction or even a 3-D, similar to what is done in CT or MRI. The registration device as shown by Sono Cine looks conspicuously like the first-ever ultrasound unit. 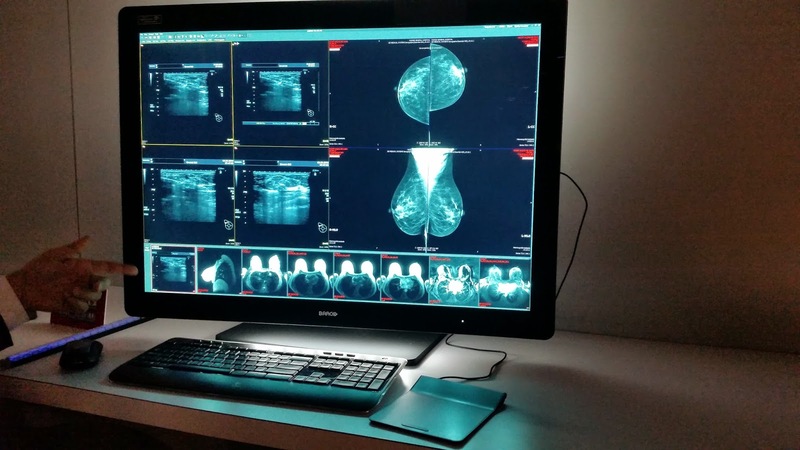 Regardless, this brings a completely new dimension to ultrasound, especially for breast imaging, this could be a great advantage. 6. 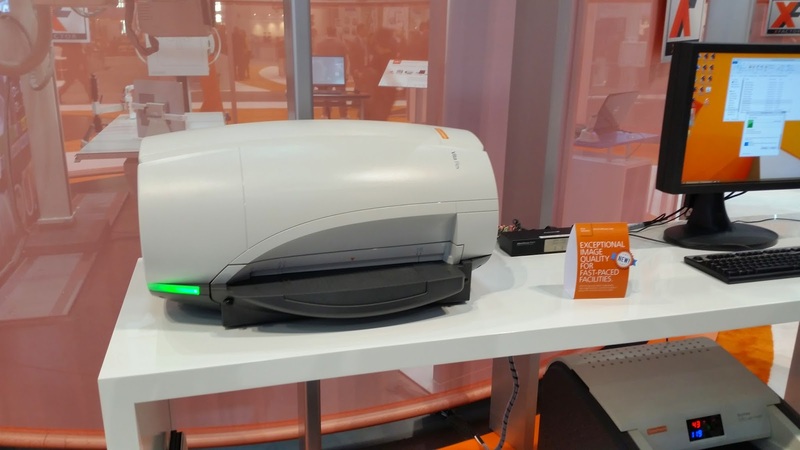 Safety is critical – The solutions shown at RSNA range from sophisticated high-tech imaging solutions to simple devices that can have a major impact on patient and personnel safety. 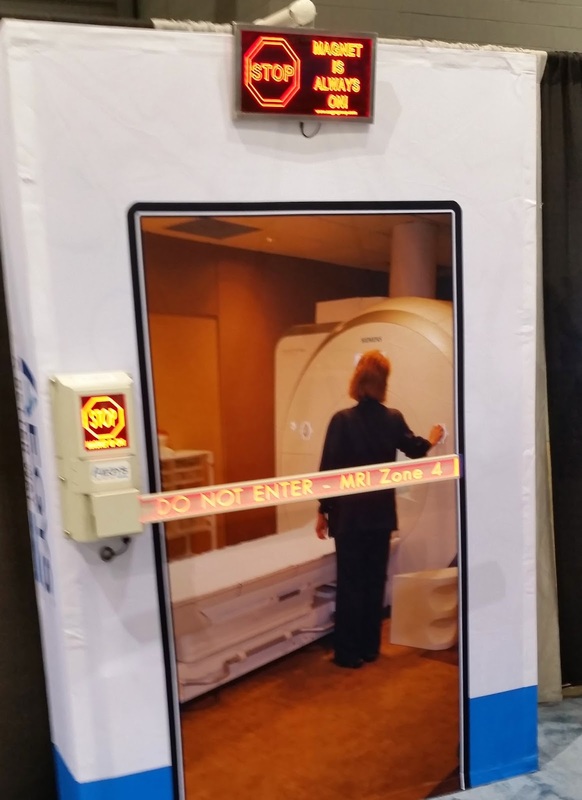 An example of such a pragmatic device is access control to MRI rooms as shown by Aegis. Incidents whereby people got hurt because of flying metal objects such as chairs, big oxygen cylinders and others that are attracted to the strong magnetic field are not uncommon. Proper protection could make a major improvement and satisfies the increasing scrutiny by Joint Commission inspections. 7. Niche MRI’s are becoming available – Standing-up MRI’s have been valuable for awhile as down or when standing up, especially when it includes the spine. 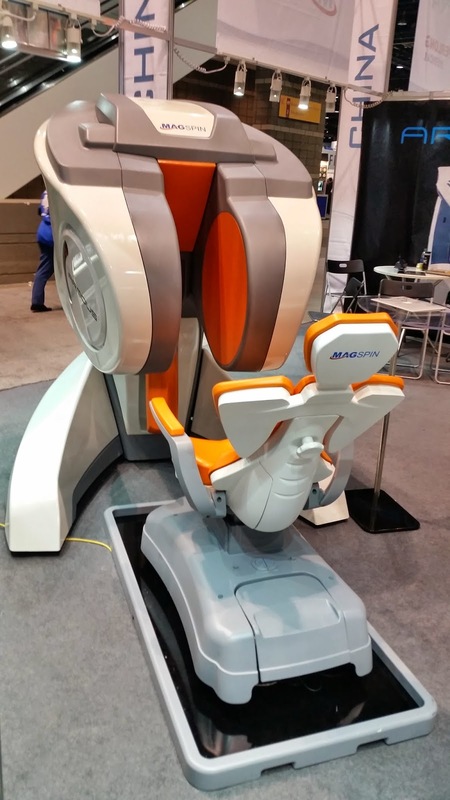 A logical evolution is the sitting down MRI as provided by ParaMed, as many people spend their days sitting in a chair, and again, lying down on your back in a regular MRI might not show the cause of the back pain as a sitting down image would. 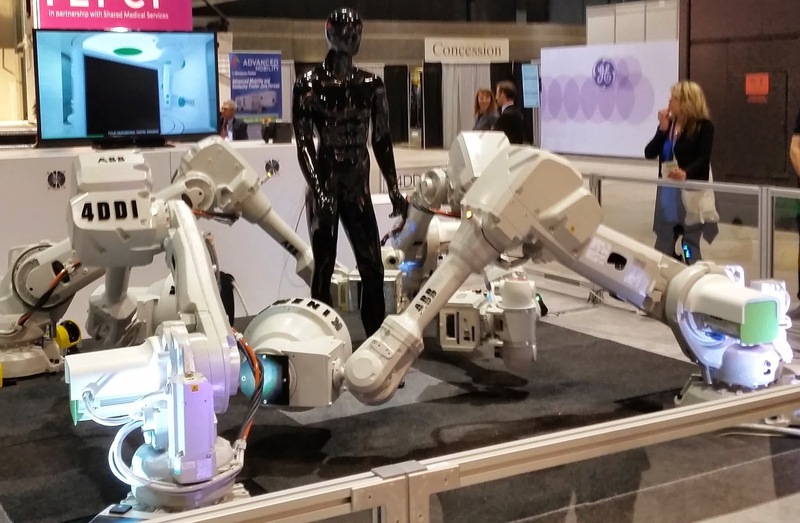 person that is scanned using four flexible arms, with two X-ray source and detectors using ABB robotic arm technology, called 4DDI. It is similar to a bi-plane system but with the difference that the rotation and angulation variations and combinations are virtually unlimited. It can function as a digital X-ray unit, a cone beam CT, fluoroscopy unit, all in one. This particular device was semi-experimental, apparently there has not been a single install yet, and I could not quite figure out from the sales people what the application might be for this device. 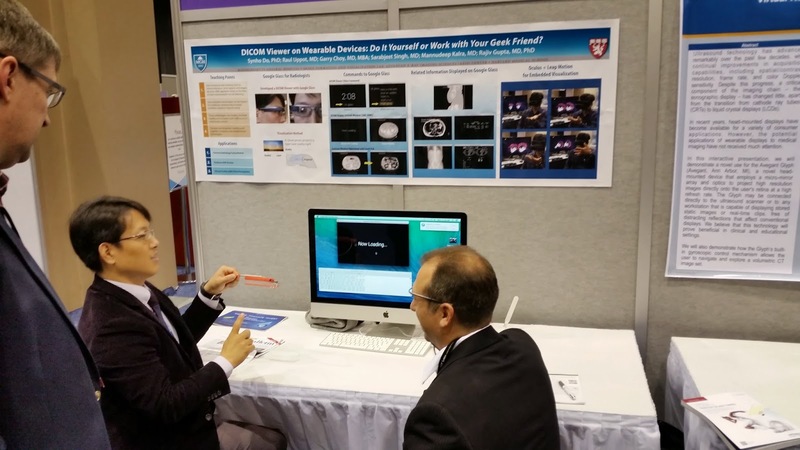 So, it will be interesting to see if it makes it to next year’s RSNA. 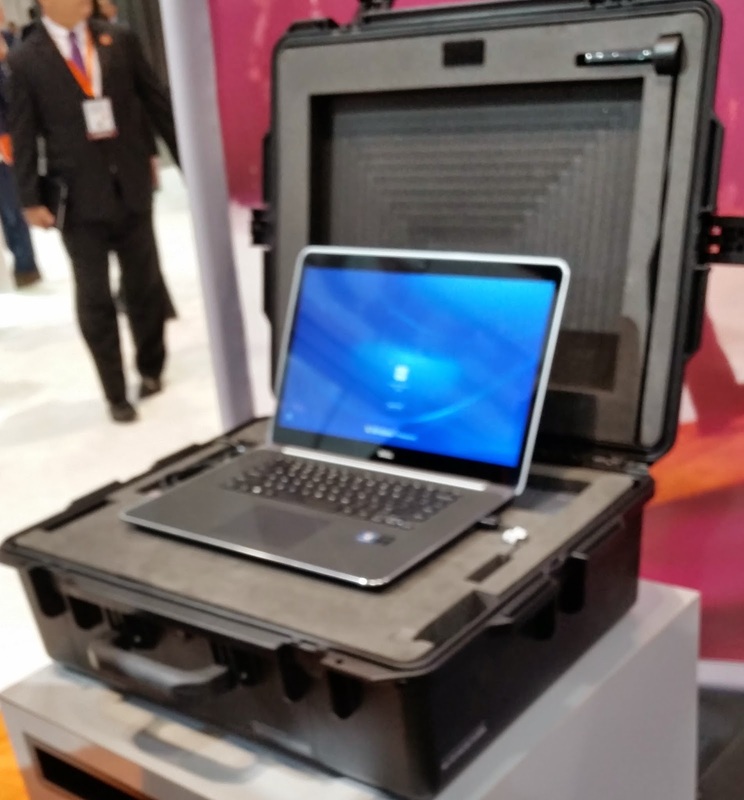 Carestream DR in a box is a good solution. The plate is a wireless DR plate, with a PC used for QA and preliminary viewing. The battery life of the plates are sufficient for more than 100 exposures, which should be OK for human use; for veterinary use, it might barely cover all the views needed to image the joints for only 2 horses. In the latter case, one would require extra batteries for the plates to be available. 10. 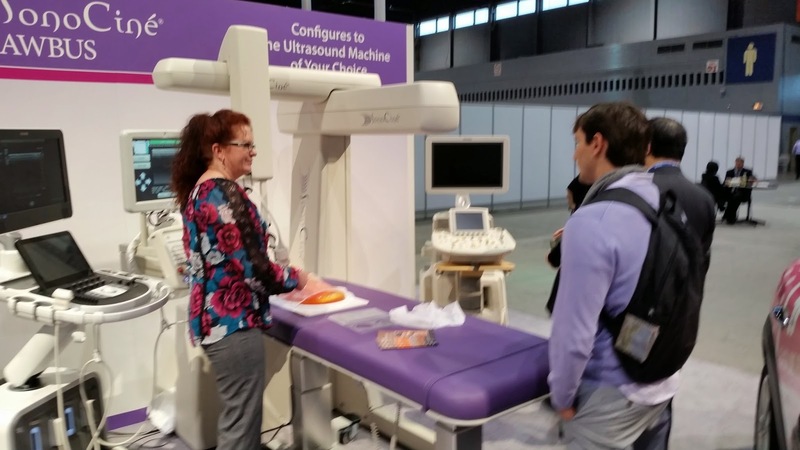 Tabletop CR finally arrived – Carestream introduced a follow up of their VITA CR system, which has a smaller footprint and weighs only 26 lbs. The unit’s serviceability has greatly improved as almost all of the moving parts that cause the most problems are integrated into a cartridge, which is very easy to exchange. In the case that an error occurs, the user takes out the cartridge, replaces it with an on-site spare, and the broken one is refurbished at the manufacturer to be re-used. It is even simpler than replacing a cartridge in a printer. A test plate is included with the unit which shows whether it is still in calibration. This is a great solution for small clinics and for emerging and developing countries where high serviceability is a key. attendance and booth size has been decreasing over the past few years, it seems to have stabilized. 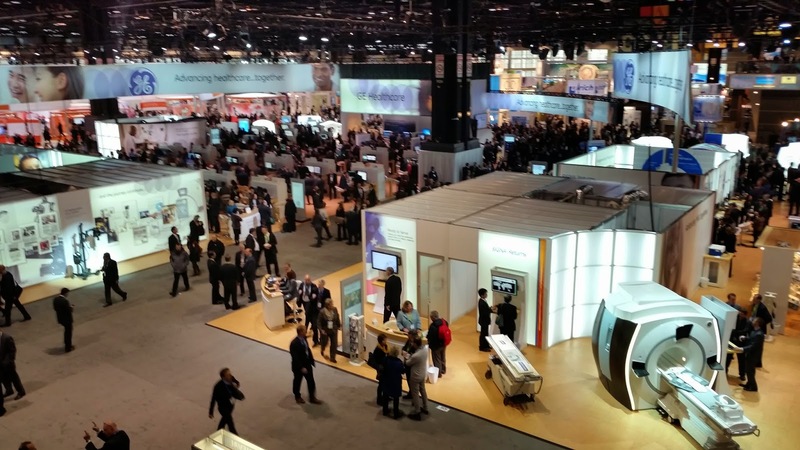 Gone are the days where vendors would splurge, instead, cost cutting is everywhere, not only on the user but also on the vendor side, but RSNA still draws more than 50,000 attendees from around the world. I personally still enjoy it, as most attendees do. One of my friends and colleagues likes to call it a “workshop,” i.e. he does the work during the event and he takes his wife who does Christmas shopping. Not a bad idea, try it, I am sure your spouse and/or partner will like it. Good Service and very instructive site! Great hand for people looking for someone like Benq Monitor! They have helped me a lot to get me out of the dilemma! Suggested to all!